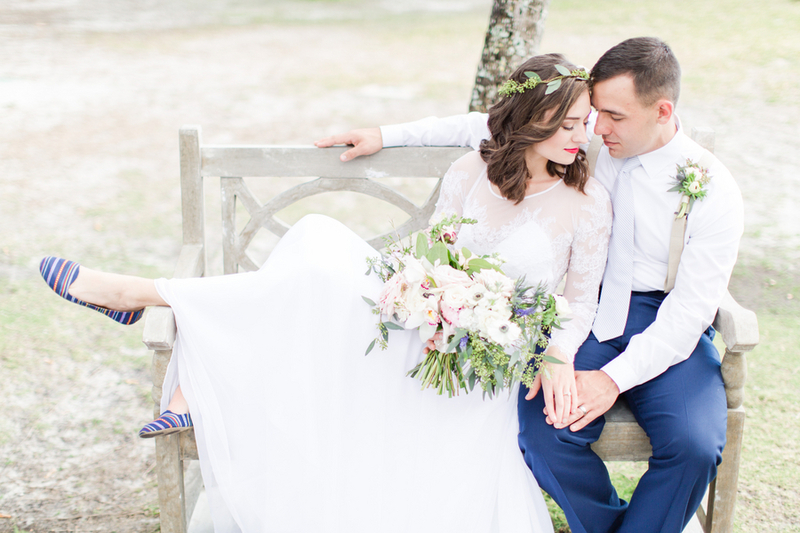 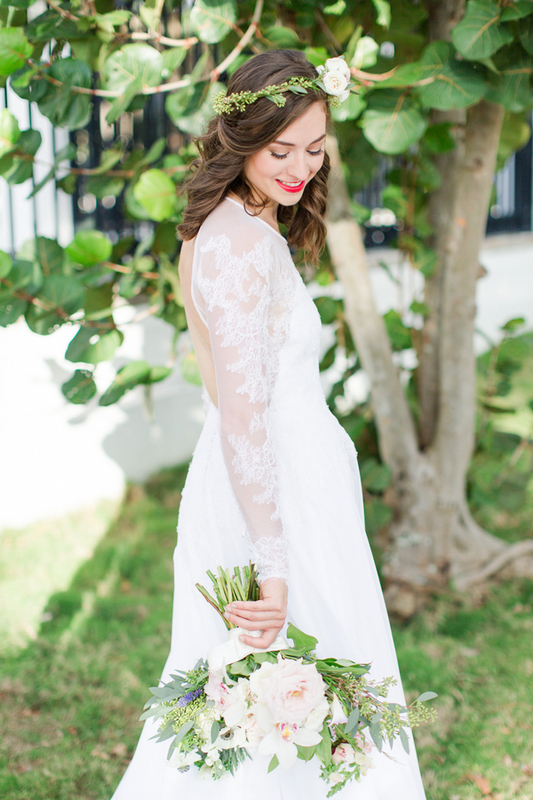 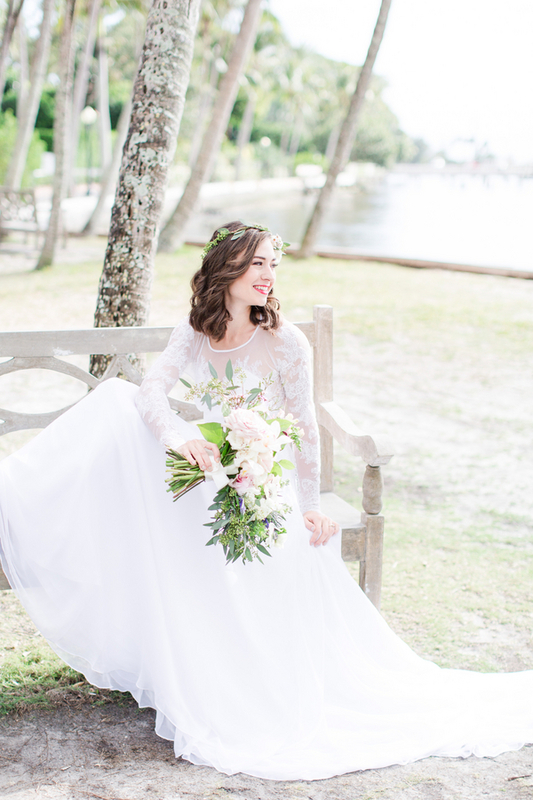 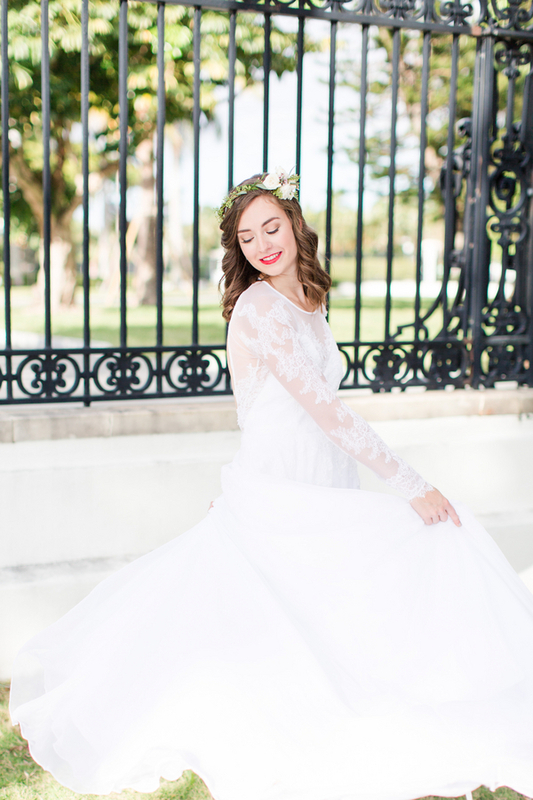 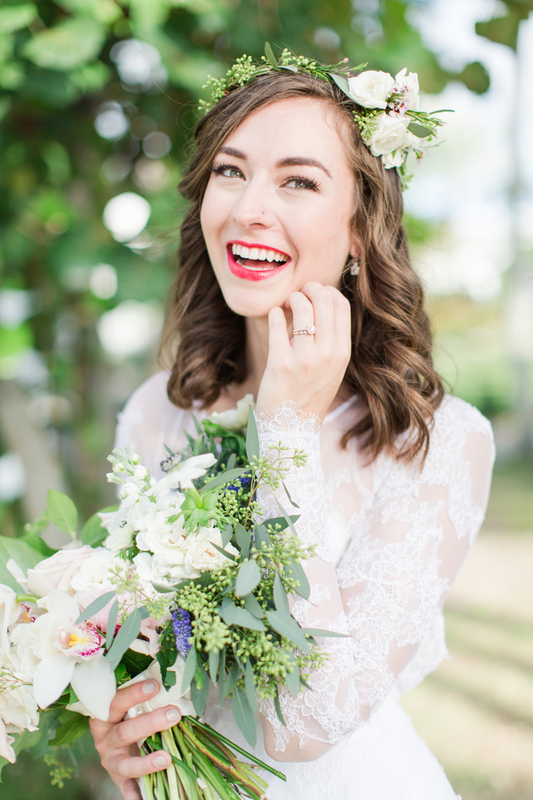 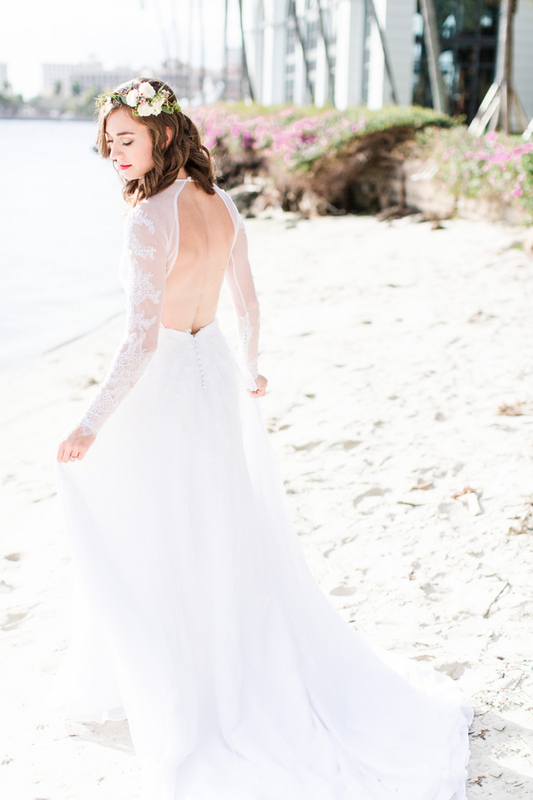 On a sunny South Florida afternoon, a team of wedding creatives merged their talents to create a dreamy coastal wedding inspiration shoot. 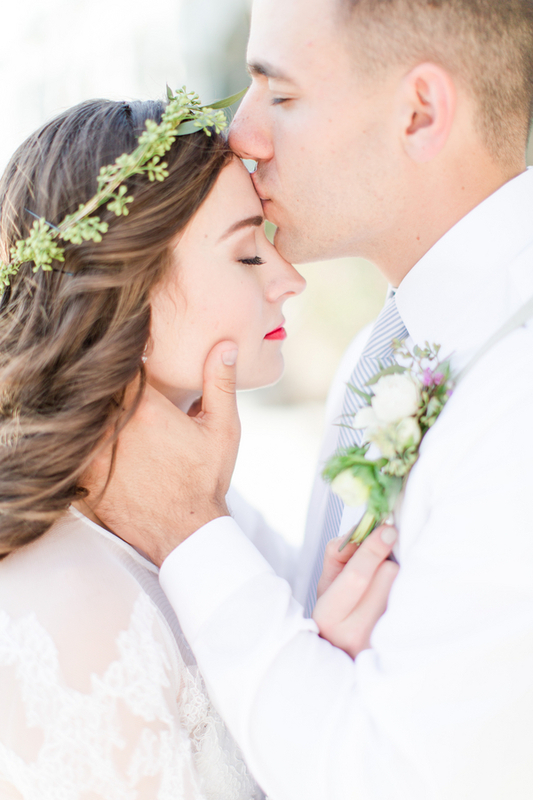 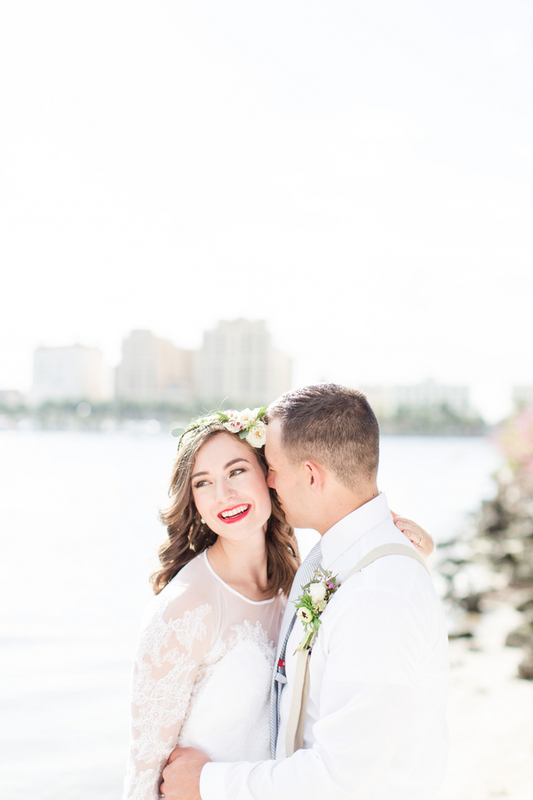 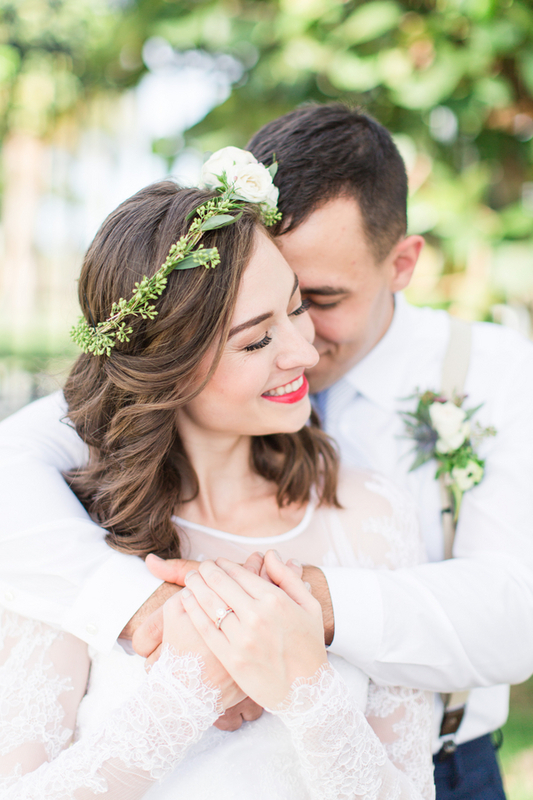 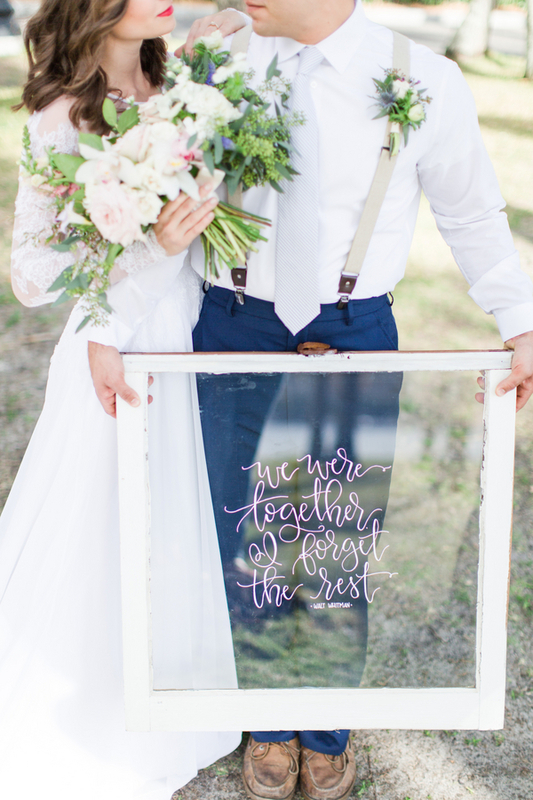 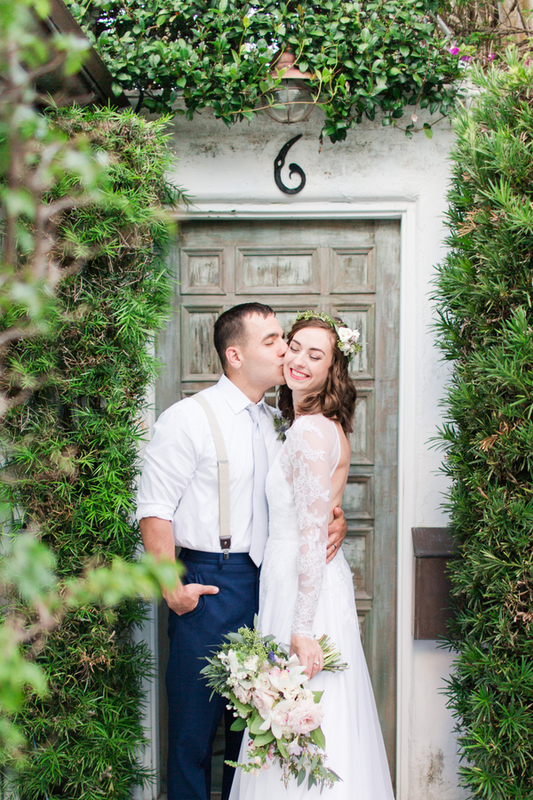 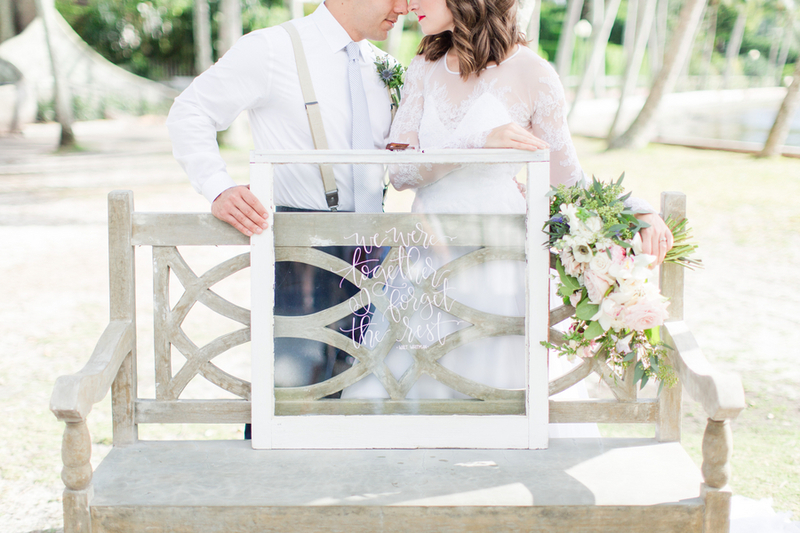 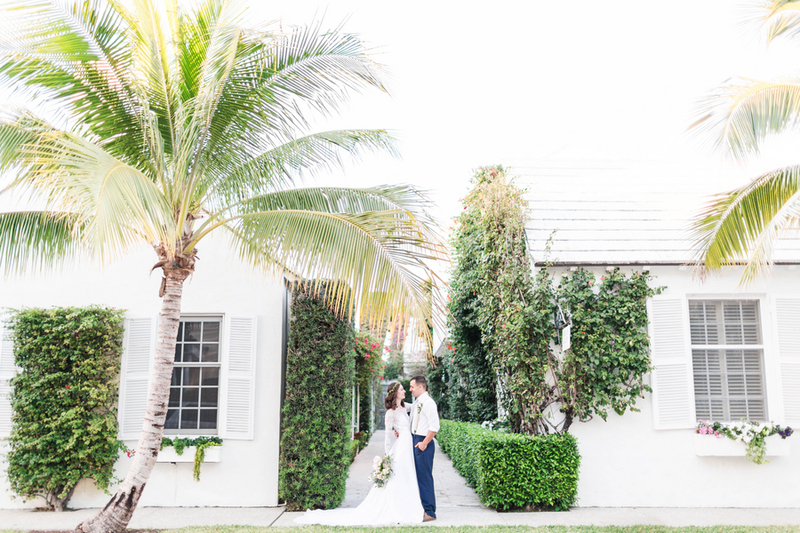 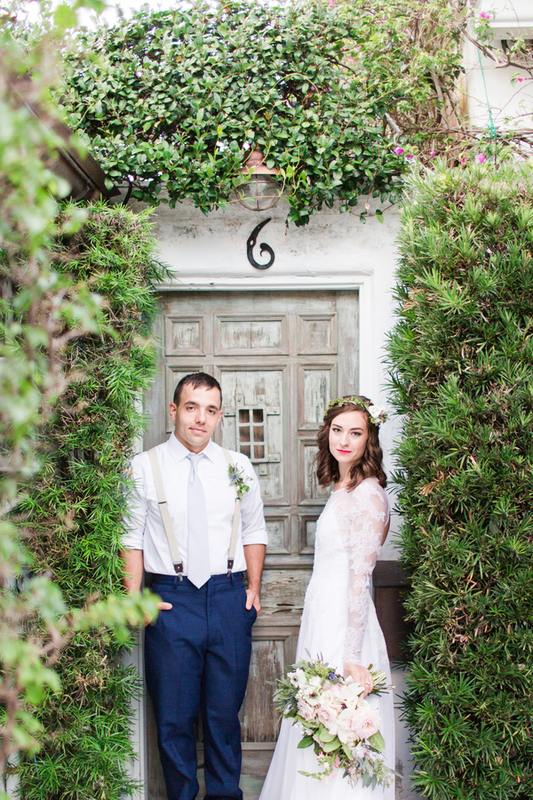 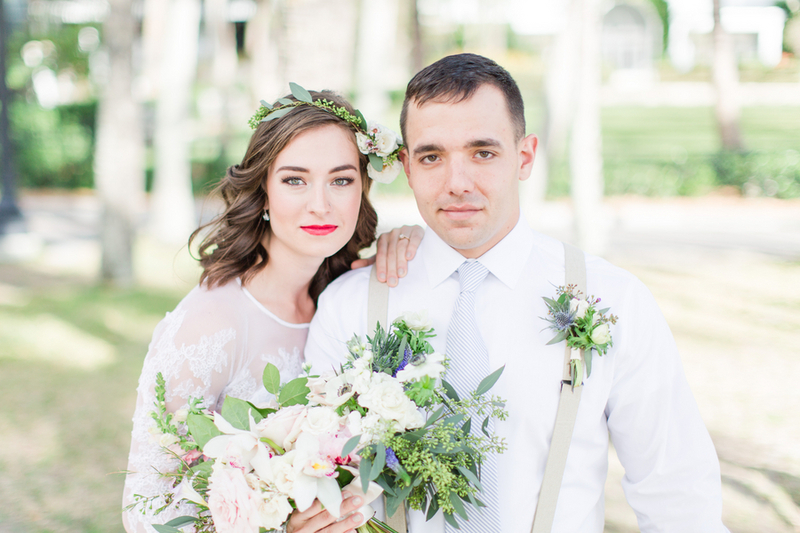 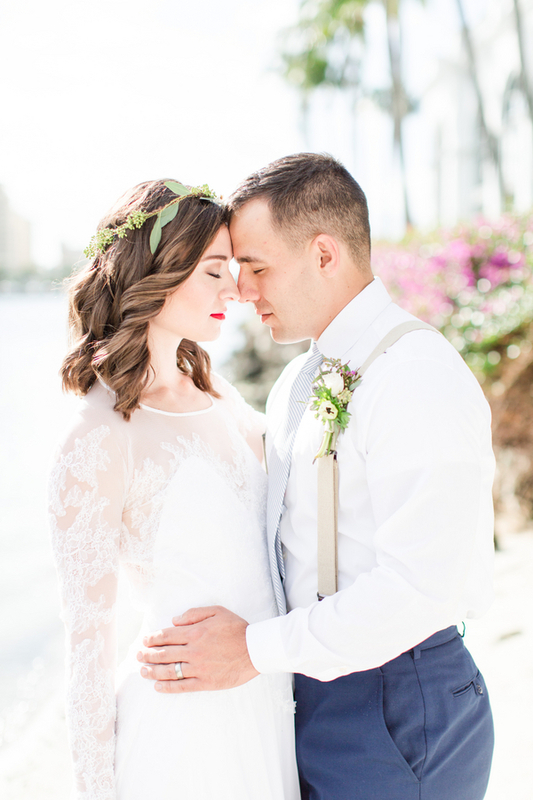 Creamy pastels, sea-side Palm Beach scenes and a head-over-heels-in-love couple effortlessly filled each frame. 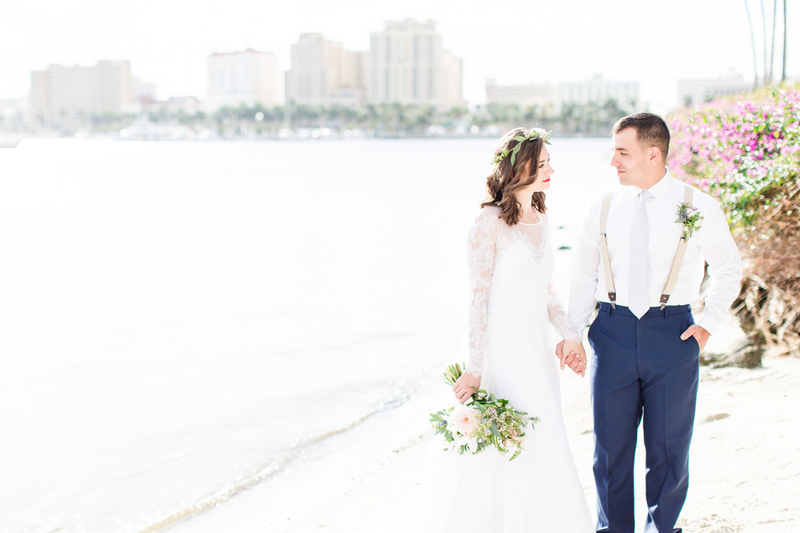 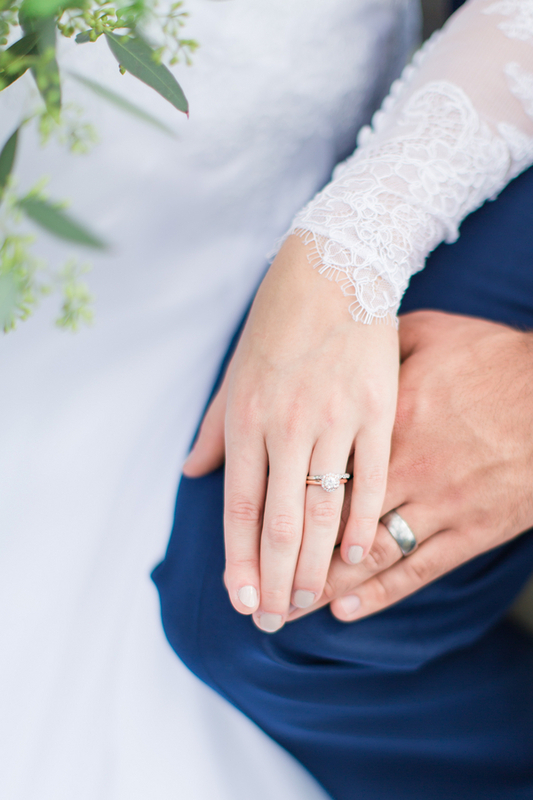 The epitome of elegant and nautical, this styled shoot was filled to the brim with whimsical scenes and joyful spirits. 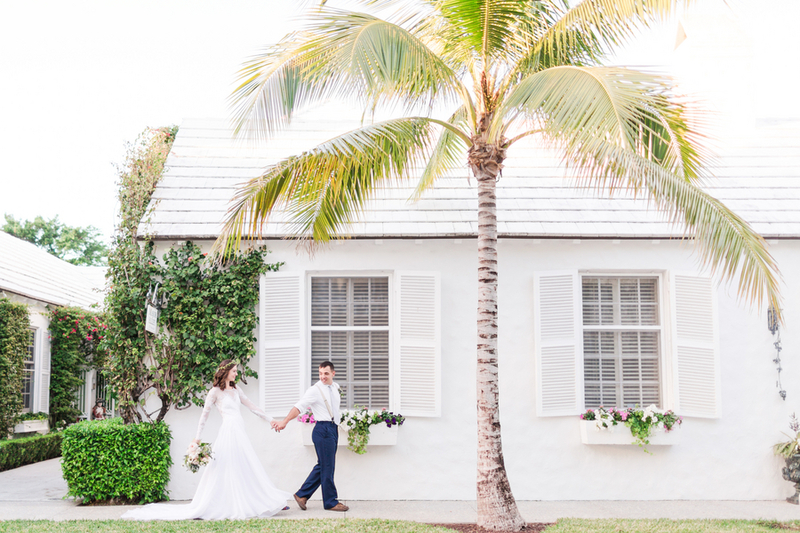 Classical touches of the 1950’s, fitting perfectly with the Annual Palm Beach Regatta providing sailboats and dreamy shores for a breezy backdrop. 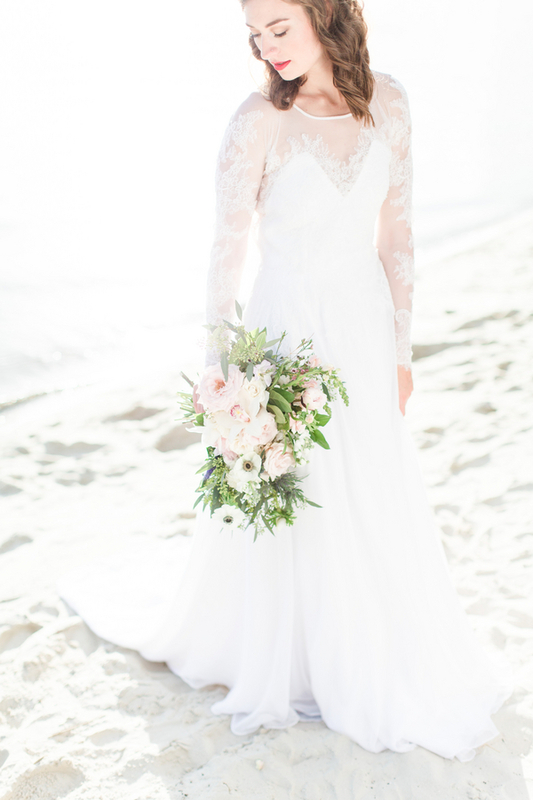 The bride adorns a timeless lace gown with an elusion neckline and delicate long sleeves, all of which were custom-designed. 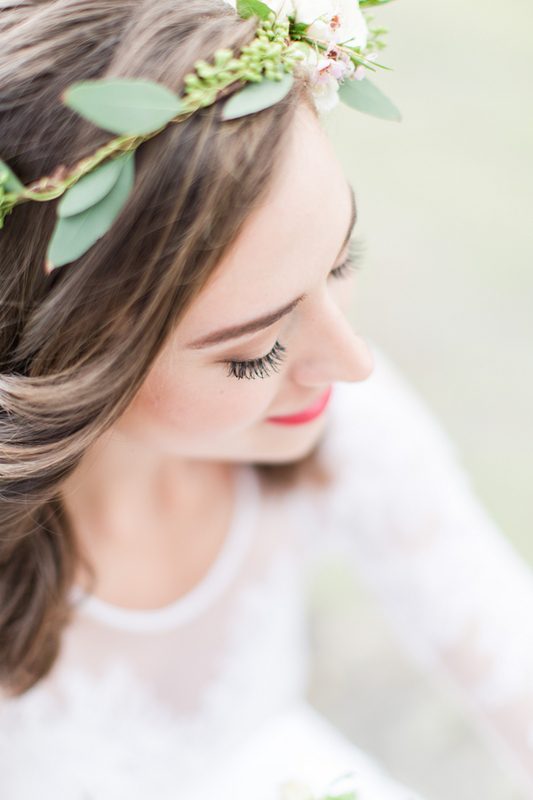 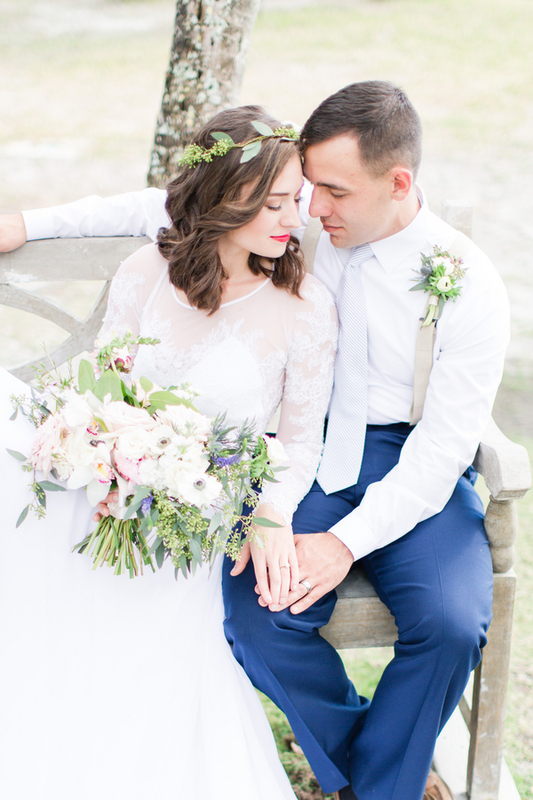 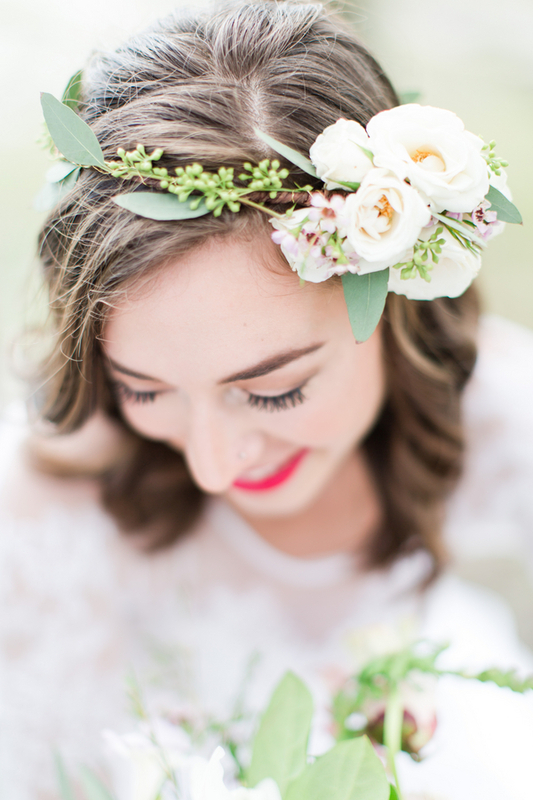 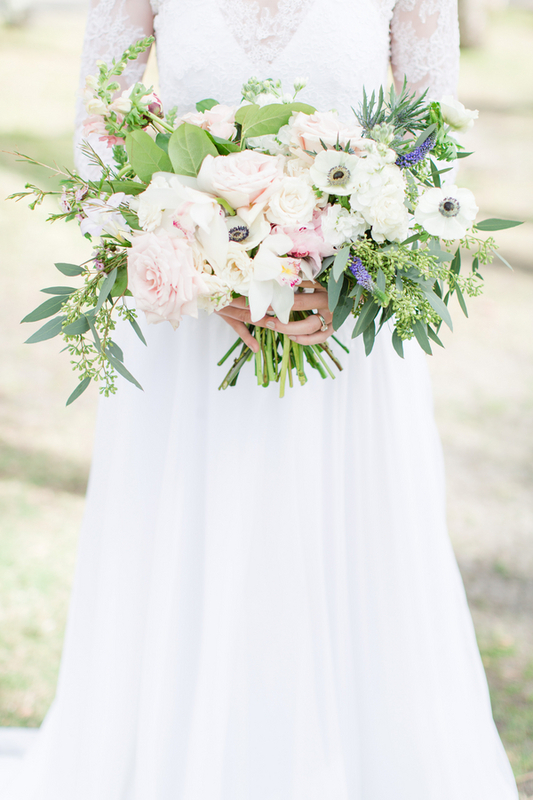 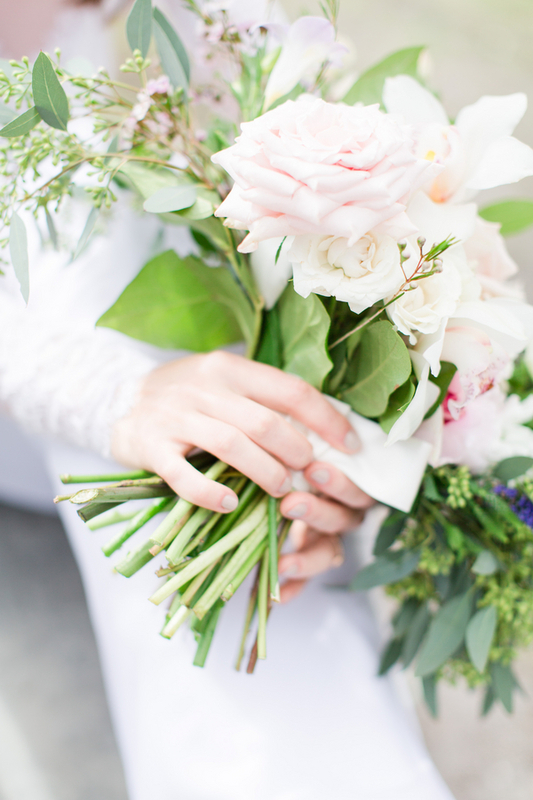 Her bouquet and flower crown were composed of soft pastels -- giving a light, airy hint of Spring. 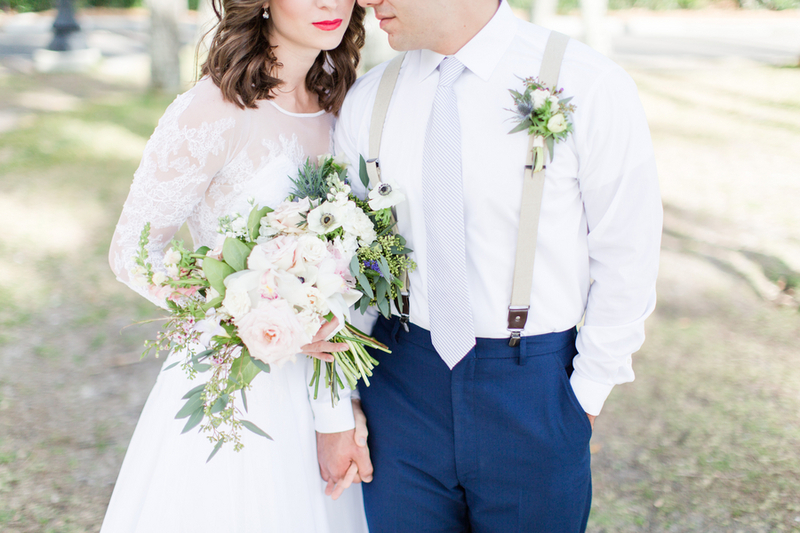 Simple diamond jewelry paired gracefully with a bold yet tasteful crimson lip color. 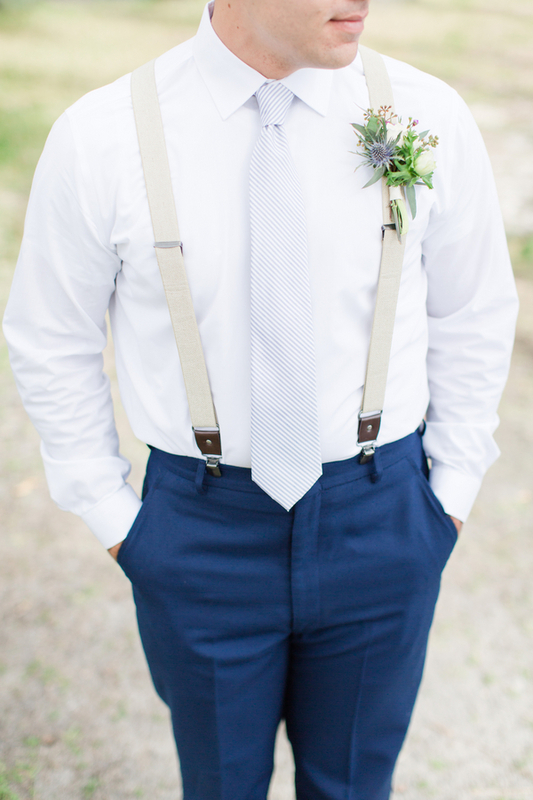 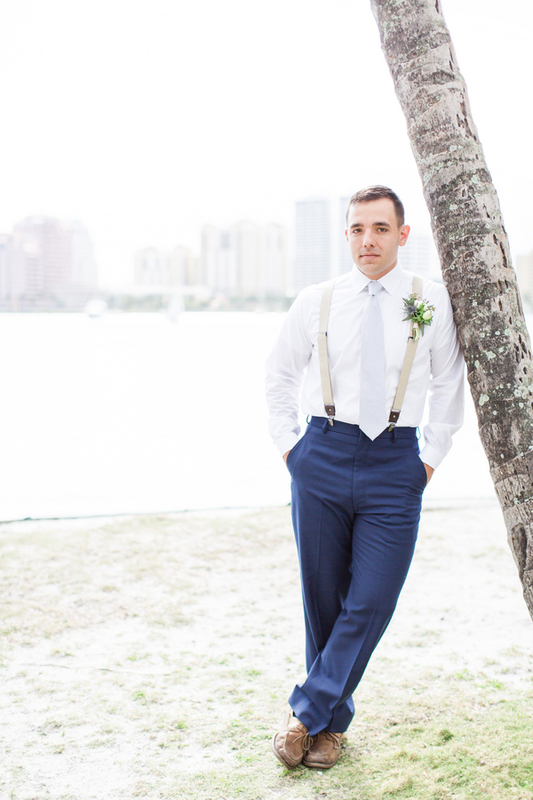 Classic navy pants, a sharp white shirt, and a light blue striped tie coupled nicely with the tan suspenders worn by the groom.